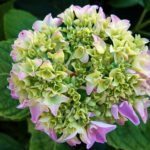 I have an Annabelle hydrangea; it is planted where it gets full sun til afternoon. I have given it bone meal last fall and this spring. It is several years old. It gets the bloom heads formed but never the white flowers. Any suggestions? 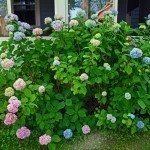 Have you pruned the hydrangea? Over pruning can be a cause. 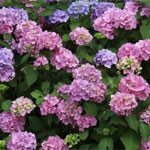 Also a late spring freeze is a common reason a hydrangea does not blossom. Lengthening warmer days usually will coax buds into opening. Since you've added Bone Meal and are still having the same results it might be a good idea to have your soil tested. Your local county extension office can help you with a test. Here is a couple of links.